Features•Mosquito net•Carry cot and play gym•Change mattress•Two level base•Drop side for side acces..
Patch Work - 3 Piece Quilt Set - (Quilt, Pillow & Pillow case)Beautifully embroidered quilt setC.. These 3 meter Braided Cot Bumpers are proudly South African and made with absolute love! 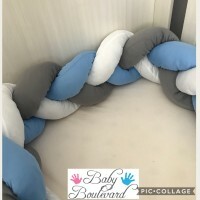 Give your Nursery a special new look with these amazing 2 meter Braided Cot Bumpers. 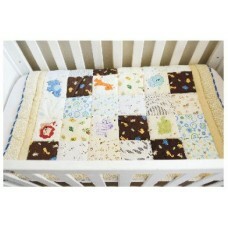 Your precious little one will be protected from the hard structures of any cot. The snug design provides comfort for your little one as well as give a cozy feeling to a big empty cot.